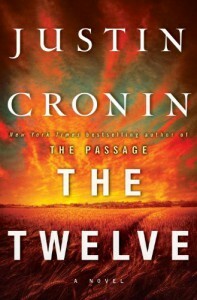 I remember The Passage as an incredible fast read and with the City of Mirrors being published recently, it was more than time to finally read The Twelve. It more or less follows after The Passage, but also goes back in time to for example the first days of the outbreak. I thought that after the ending of the first novel they would go and hunt down the Twelve, but really that is just a minor point of the book. I think it is fair to say I'm disappointed, at least a little bit. It was not what I was expecting, but mainly it was confusing with all the new characters that were thrown on me only to disappear quickly after that. At least the first 150-200 pages I was wondering what I was reading and I wasn't enjoying myself. It became better as I went on, but there were times I felt I had to push myself to continue reading. The final part with Sarah and co. certainly was my favorite part. And now that I've finished, I keep wondering if anything really happened in the book. I hope The City of Mirrors will be more like The Passage.